At the Fishing College our objective to provide effective training in order to raise quality and standards within the seafood industry. We offer courses for new entrants and for experienced seafarers who wish to refresh knowledge and/or progress to the next level. The college is an approved training provider for the Maritime & Coastguard Agency; Royal Yacht Association and Seafish. The MCA implements the government's maritime safety policy in the UK and works to prevent the loss of life on the coast and at sea. The MCA provides certification to seafarers working on UK registered vessels. 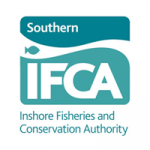 Seafish is an industry–funded organisation that supports all sectors of the seafood industry, including the development, delivery and certification of mandatory fishermen's safety training. The Royal Yachting Association (RYA), is the national body for all forms of boating, including dinghy and yacht racing, motor and sail cruising. 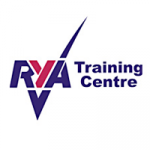 Amongst its various activities the RYA provides professional qualifications and training courses, backed by the MCA and government.